Looking for a trusted business cleaning service company? Then Better Cleaning Company is the sort of local reliable commercial cleaning company you want. 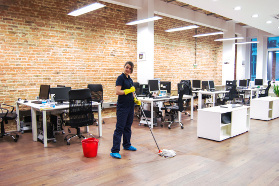 Our office cleaners always offer high quality cleaning to all types of companies in the area. For a fast and free price offer just call 020 3746 3201 or send an online request here. Our customer support staff will react 24/7. Our company own all the necessary technologies for one high quality cleansing service. It does not matter what type of business you manage,our skilled cleansers will carry out the cleansing in the best time for you. We are going to provide you with a cleaning up for all that you need. Our expert cleaning company is specialised in deep retail and restaurant cleaning, in accordance to all safety and health methods. We have years of experience in cleaning of local eateries, shops, malls, supermarkets, department stores and public buildings. We can offer you same day emergency cleaning service , or can come on any day of the year, after work hrs, so as not to disrupt your employees and customers. Contact our customer care associates to request a scheduled appointment for our office cleaning services Millbank SW1 24/7. You can easily do that by calling our 020 3746 3201 or submitting an online request. We offer top quality, completely insured, cost-effective business cleaning services. We offer favourable regular cleaning contracts for local businesses. Reserve now and let us professionally clean your office now!